HomeFeaturedHappy 2nd Birthday SDBN! How Should We Celebrate? 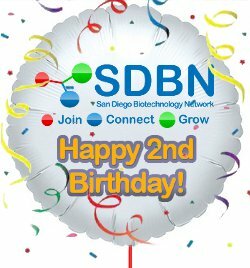 It’s hard to believe it, but two years ago in November of 2008, we had our first SDBN event featuring Sapphire Energy at Rock Bottom in La Jolla. We soon outgrew that venue and have found a nice home at Tango del Rey, a one-of-a-kind location in PB which we feel is amenable to networking. To facilitate interaction, we’ve also tried to keep the cost of the events as low as possible, and to have interesting events which draw a nice crowd. Here’s how to cast your vote. I’ve listed the choices as comments below, vote for your favorite (click on the thumb below your choice). Have a new idea? Leave a comment below with your idea, and it will be ‘in the running’ as people will be able to vote on it too. Let’s use the honor system, and realize that if we get a lot of requests for a company to sponsor, that the company will need to defray some of the costs of the event. 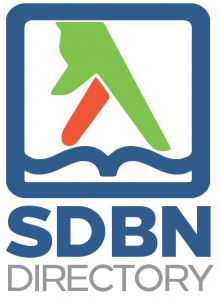 July 7, 2009 Mary Canady SDBN Blog, SDBN Feed, Uncategorized Comments Off on Bloggers Wanted!